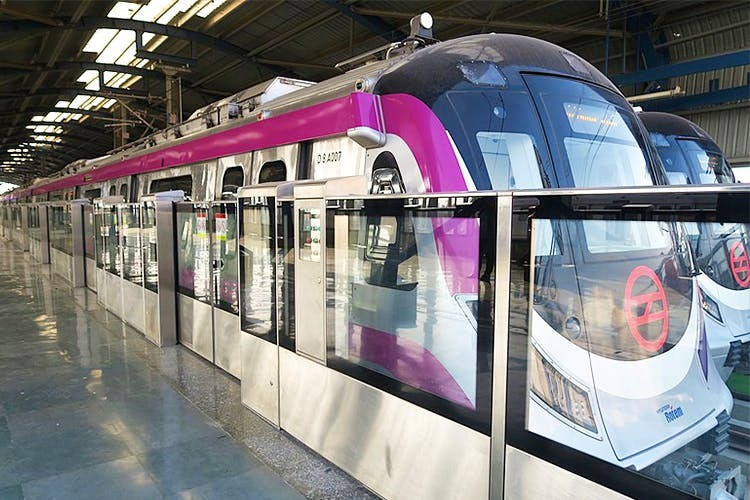 Delhi Metro’s Magenta line stretch from Janakpuri West to Kalkaji Mandir will open to the public next week. The Commissioner of Metro Rail Safety has already given his approval to start operations, and the inauguration date for this route will be announced as soon as all the paperwork has been completed. The section that will open next week will have 16 stations (Janakpuri West, Dabri Mor, Dashrath Puri, Palam, Sadar Bazar Cantonment, Terminal-1 Indira Gandhi International Airport, Shankar Vihar, Vasant Vihar, Munirka, RK Puram, IIT, Hauz Khas, Panchsheel Park, Chirag Delhi, Greater Kailash and Nehru Enclave), including the two interchange stations – Janakpuri West on the Blue Line and Hauz Khas on the Yellow Line. The Janakpuri West-Kalkaji Mandir section is a part of the larger Magenta line that extends till Botanical Garden. The Kalkaji Mandir-Botanical Garden stretch is already operational, and with the launch of this new section, travelling in Delhi is about to get so much better. A lot of us can finally avoid Rajiv Chowk (woot woot)!